In this week's episode Dave, John and Kyle recap the 58th Grammy Awards (2:20) and Kanye West’s very busy week (14:20). 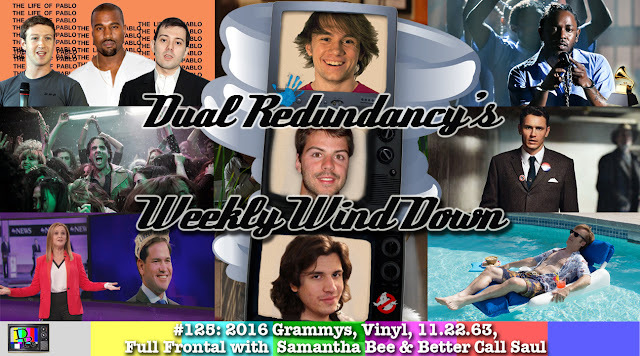 We also review the series premieres of Vinyl (21:35), 11.22.63 (29:45) and Full Frontal with Samantha Bee (43:20). Finally, we review the season two premiere of Better Call Saul entitled “Switch” (49:50).